The corporate headquarters of BB&T in Winston-Salem, N.C..
BB&T, the North Carolina-based company that owns Branch Banking & Trust Co., has named Travis Rhodes, a 45-year-old corporate banking manager in the company’s Charlotte, N.C., offices, to head the company’s Delaware Valley region, including branches of the former Susquehanna and National Penn Banks. Since BB&T bought the banks in 2015, its Philadelphia-area franchise has dropped from $6 billion in customer deposits at 114 branches, to $5 billion at the remaining 101 branches, according to Federal Deposit Insurance Corp. records comparing deposits at the end of June 2015 and June 2017. In Pennsylvania, the bank had $13.7 billion at 263 branches, down from $16.4 billion at 299 branches two years earlier. In New Jersey, the bank's deposits rose to $2.06 billion at 33 branches, from $1.91 billion at 35 branches before the merger. Rhodes, who has spent his career with BB&T in North Carolina, replaces veteran Philadelphia-area lender Scott Gamble, 58, a former Susquehanna executive who had also headed National Penn's Philadelphia-area region. Gamble is retiring after 34 years at a series of area banks. BB&T, when it entered the market in 2015, saw the Philadelphia area as "a tremendous opportunity for us to expand," bank president Ricky Brown told me at the time. 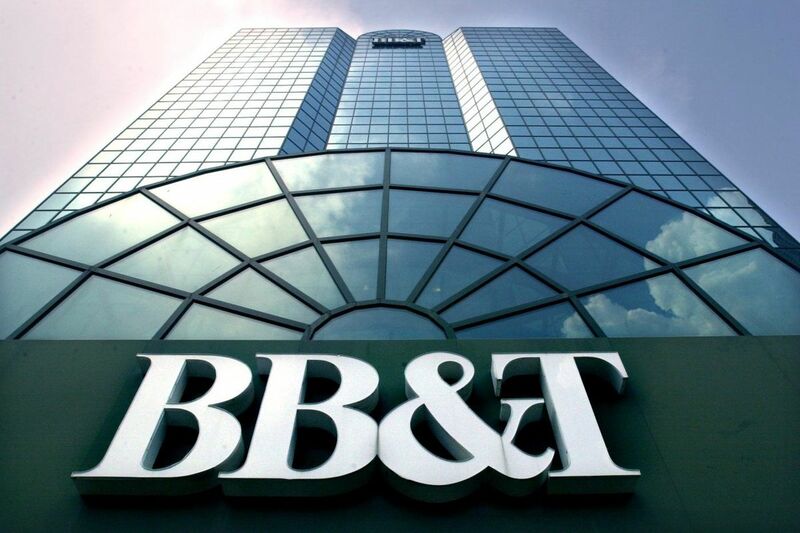 He acknowledged that "we have a lot of work ahead of us to get them converted to BB&T," but said he was confident that Gamble and his team "gave us a significant leg up," and that BB&T could grow "using the existing network," without having to buy more banks. BB&T is one of about a dozen banks with branches across the Philadelphia region. It trails market leaders Wells Fargo and TD Bank, which each have more than $20 billion in area deposits in the city and the Pennsylvania, South Jersey, and Delaware suburbs, as well as competitors PNC, Citizens, and Bank of America. With total loans across its markets growing only slightly faster than inflation, BB&T boosted profits last year by laying off workers and collecting more fees, according to a Jan. 18 report by Stephen Scouten, bank analyst at Sandler O'Neill + Partners, New York. The Delaware Valley market remains “an important region for BB&T,” the bank’s community (branch) banking president, David Weaver, said in the statement announcing Rhodes’ hire. Weaver added that Rhodes’ corporate experience plus “his highly personal approach will be an asset for our growth strategy.” He also said Gamble had an “outstanding” career and wished him well in his retirement. The Delaware Valley "is an area with great growth potential for the bank," Rhodes echoed in his statement. He is a graduate of Appalachian State University and is active in church and diabetes groups, according to BB&T.